It’s getting close to the Holidays and that means the big Nintendo releases are just around the corner! I hope all of you have been enjoying Super Smash Bros. on the 3DS. I know I have! 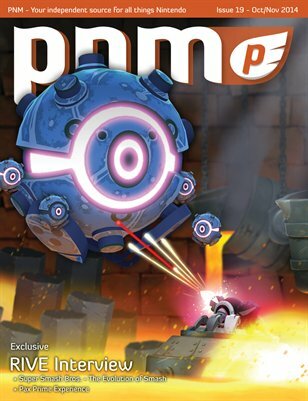 We have a lot of great content in this issue including our interview with the folks at Two Tribes about their upcoming ‘metal wrecking, robot hacking shooter’, RIVE. We also go in depth on the Super Smash Bros. franchise from the original Nintendo 64 release up through the 3DS and Wii U games. Our very own Tristan Meiman was also on hand at PAX Prime in Seattle and he details his experience at the show and what sets it apart from E3. As always, we have reviews from all the latest games for Wii U and 3DS. Happy Gaming!